A custom 6x 10 round corners travel calendar magnet are largely preferred for gifting by travel advertisers because it offers them best value for investment. 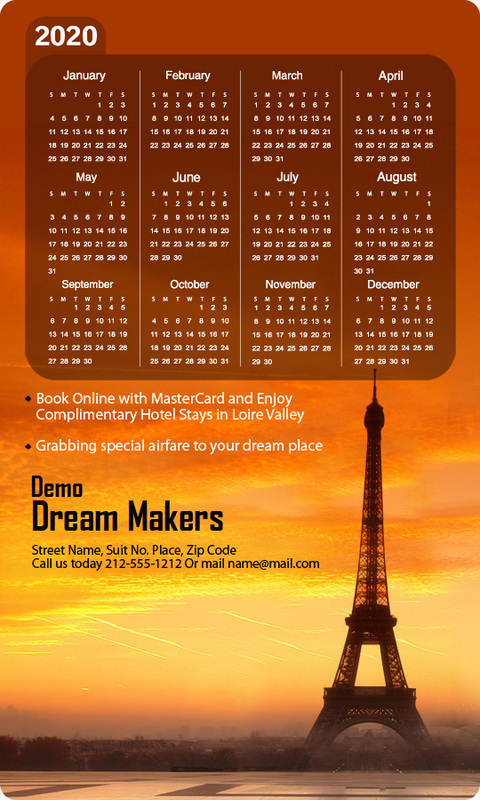 Advertisers who cannot afford to invest in multimillion travel investments can find success with a personalized 6x10 round corners travel calendar magnet because it serves them above expectations. 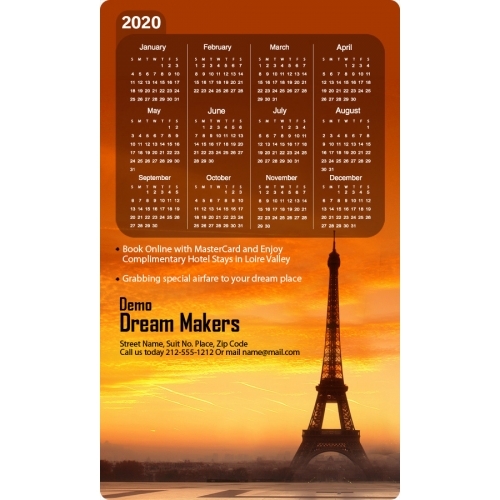 Promotional 6x10 round corners travel calendar magnets can be handed out as a promotional token during trade fairs or travel expos or it can be sent away as a mailer. Product Size : 6 in. x 10 in.